Everyone knows that who be active in the sport, for example the running is a great way to get into shape, but did you know that it can benefit almost every part of your body, as well as lift your mood? We need to improve our health and control our cholesterol, that is why I decided to run in the marathon as the running is incredibly effective at making you healthier in a number of ways. It is helping to bosst your immune system and lower your risk of developing blood clots. I also want to lose my weight, it can burn off exra calories from my body and relieve stress to diminish appetite and my sleep quality, avoid the depression and developing tension. With the gadgets, it can help you to monitor your health or you join the running, you'll need to use them! It's useful for you. I really love the Fitbit Charge HR because this is similar as wearing the watches on my wrist! While I wear my Fitbit, it can tell me how many steps, for example when I take the stair up, or walking to office, or etc, just like getting to know how much steps that I get in my daily life. 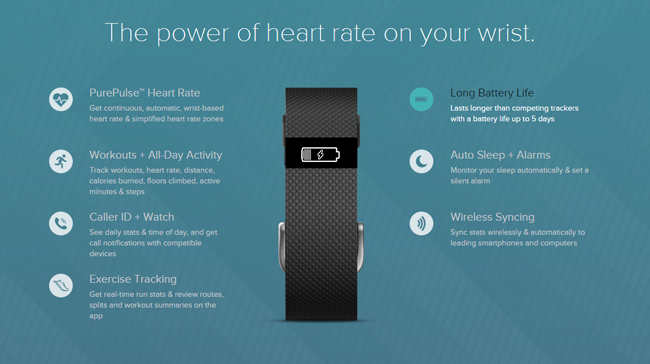 The Fitbit Charge HR always tracks your sleeping hours (even those afternoon naps!) and daily steps, as it is always on you. Remember, it is always best to get at least 8 hours of uninterrupted sleep! It is very great gadget to monitor your health on everyday! 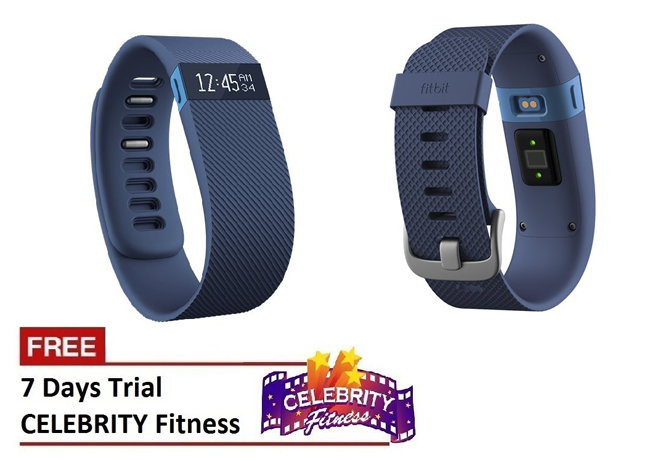 In Ensogo Malaysia, you will have free 7 trial days for Celebrity Fitness when you make your order to buy new Fitbit Charge HR so cool! You try a week to test your Fitbit while you do exercise in the Celebrity Fitness. First time, Nike develop a very cool innovative Nike Flyknit technology with the ultra-cushioned ride of Air Max for an amazing new sneaker! Nike Flyknit allows the breath ability into a virtually seamless upper, which ultimately helps deliver a superior, lightweight fit. 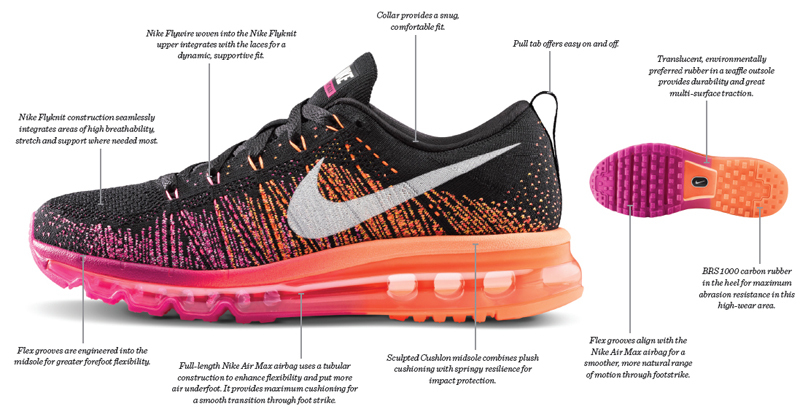 The Flyknit Air Max also integrates Flywire technology for additional support throughout the upper, so runners can expect not only a lighter and more flexible shoe, but an ultra-cushioned ride. Nike is very popular in Malaysia. 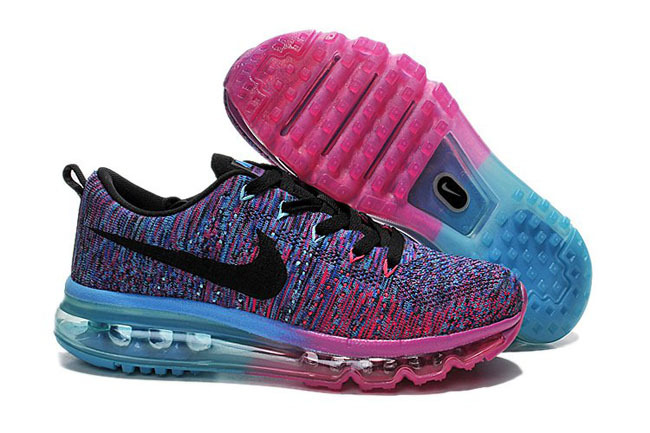 This shoes give a comfortable of feeling for the runners who prefer the casual style of wearing to match with the cool hot looks, depends on the popular of fashion world especially the young generation. Nike engineered the knit for performance to create running footwear that features only the essentials with feeling of fabric and need of featherweight, formfitting and virtually seamless sapper. You really like a cool Nike Flyknit so very much? Yes, Ensogo Malaysia sell the Nike shoes, check it out! You can enjoy to listen your favorite music while you are jogging, running or working out in the gym. 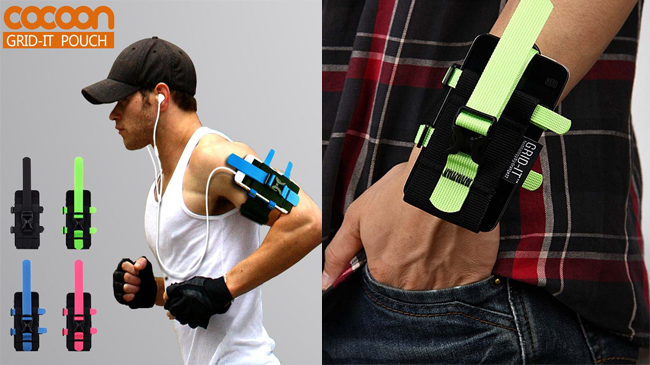 So, it is good gadget to attach your upper arms so it is easier. You won't worry your smartphone easy to fall, that is why your smartphone protected so very much. This Cocoon Grit-it mobile wallet armband is the water resistant and hand-washable material. It is lightweight armband, and easy to adjust your band for maximum comfort. This is suitable for mobile phones, MP3 players from 2.5-inch to 5.5inch. 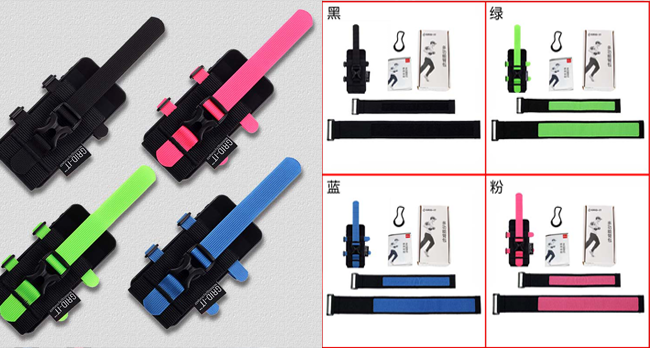 It also have 4 colors; black, pink, blue, and green. Also available in different sizes because smartphones comes in plus size too, it is a must get for those who want to keep themselves fit and healthy! You need a very comfortable pair of sneakers since you join the marathon to run along the road at the evening or night? It can actually make you look much brighter while you are running with your friends at the night! 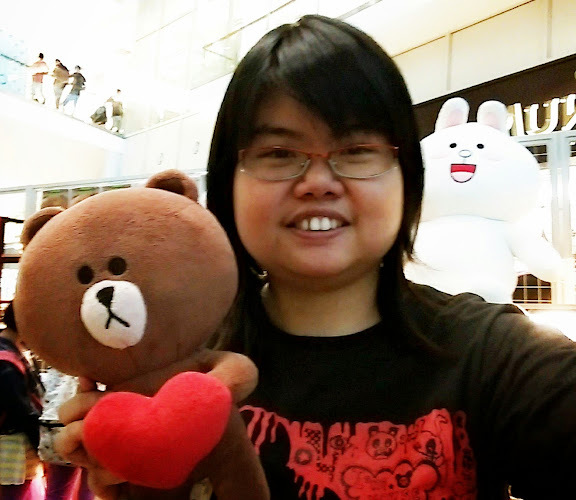 Your friend easy to spot you when you are walking or running! 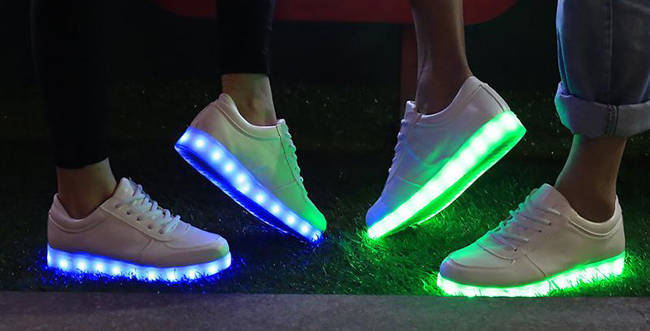 There are 7 different color inside this LED shoes. It also blink every color when you are walking around...so cool! If you are couple, you both enjoy to be romatic when you join the marathon! Love it? Come and get some! 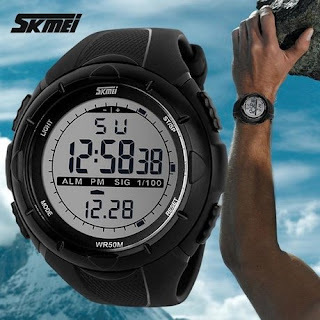 The SKMEI Watches are very suitable for the outdoor activities. It also equipped with five modes: time and date mode, alarm mode, stop watch mode. It also have the adjustable buckle design. When you are swimming in the pool, this is water-resistant! 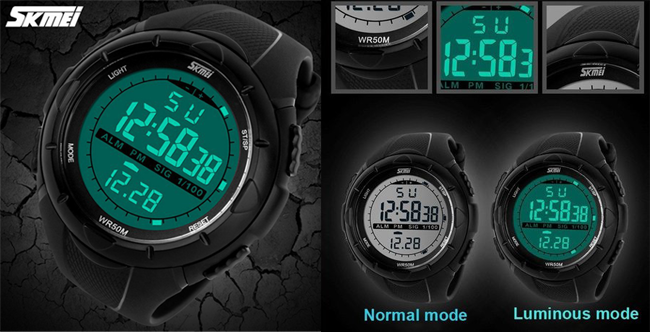 It is useful for you because it get the luminous mode while you can see it so clear since you are running at the night. I like this watches because it looks as cool. 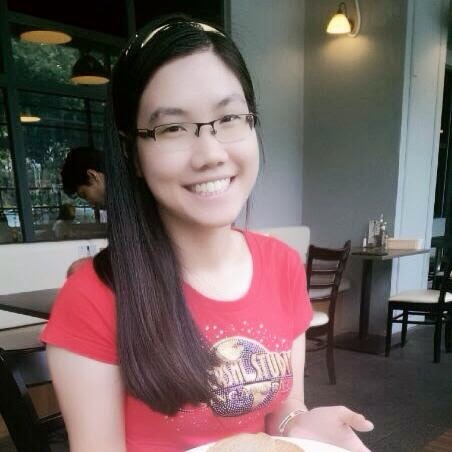 Be honest, I experienced to use the food e-vouchers, clothes and tech gadgets from Ensogo Malaysia, so it is not problem at all. 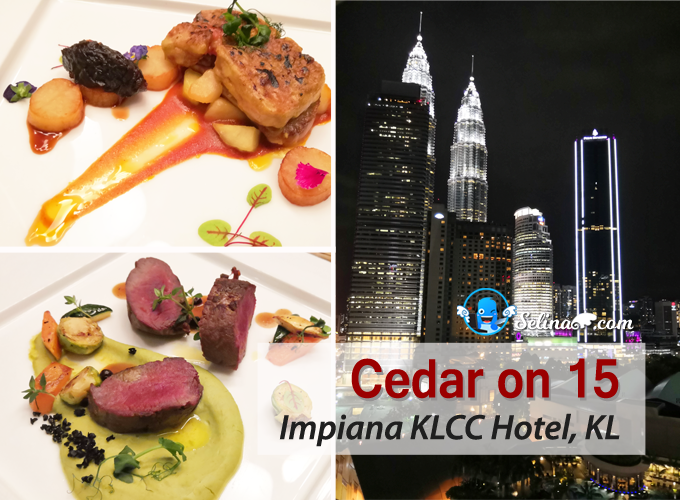 Advised you to check with the best comments which published by the trusted customers in the stores always if you are new to Ensogo Malaysia. 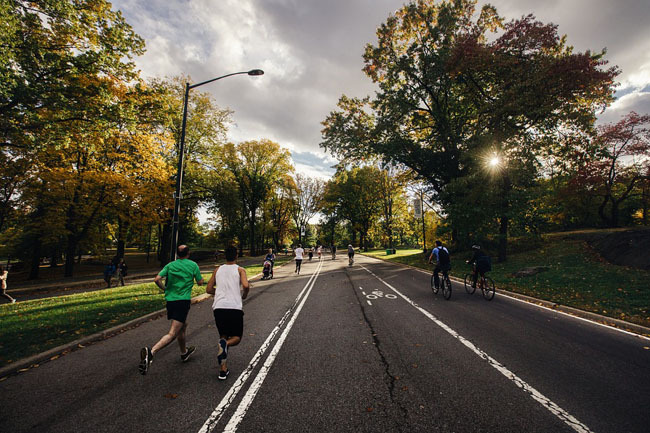 Running really is incredibly beneficial to the body, mind, and spirit, and you will find that even short runs can leave you feeling more energized, more focused, and better able to enjoy all that life has to offer. You can start to walk on a journey to a healthier lifestyle! I love the Nike flyknit purple blue color! It will be my next buy for sure. I suka kasut tu ! I nned new one sébab kasut lama dah tercabut tapaknya. Now I nak go for marathon after 4 months delivery. The shoes look awesome! Like the effect of flashing light and it's safer to run at night I guess. Yes, it get alot of different color and design come out so cool! I like Nike flyknit so much! Wow! 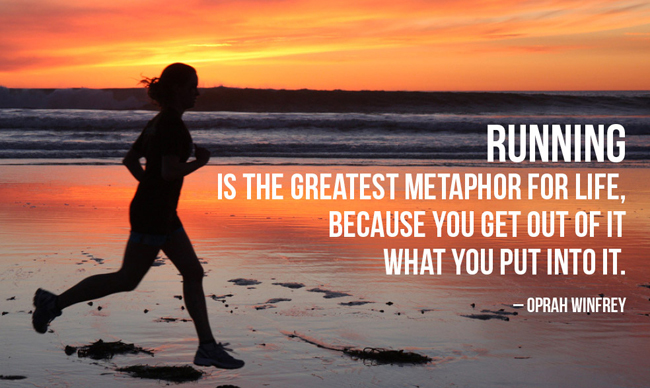 great stuff for runners. I already own something like Fitbit but those Flash shoes are too good. Love it! I always wanted to buy one. This one look perfect fit for me. Perfect or those night runs and to keep us enthusiastically glued to have a healthy lifestyle with these gadgets. Quite an interesting pick, heard on ensogo but i don't really trust their sellers on the site since they are similar to groupon. Fitbit looks chic and works wonders so get that for your daily usage and health purposes. I bought Jawbone UP but Fitbit is much better! 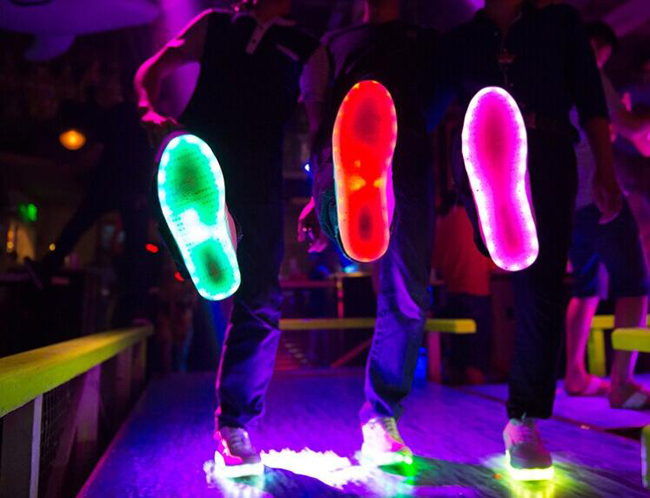 flashlight shoes - i wanna own that! it's so important for runners to use it at night. The gadget looks so nice and cool to use for sports =P Although I am not a sports person but all this gadget looks really cool! The shoes look awesome - pretty great to have for those who are into sports. The flashlight one are definitely intriguing though. The glow in the night shoes are soooo cooool! Yes, it is safe for run at night!